Are you dressing up for Halloween? If you need a quick and easy costume, we've got you covered! 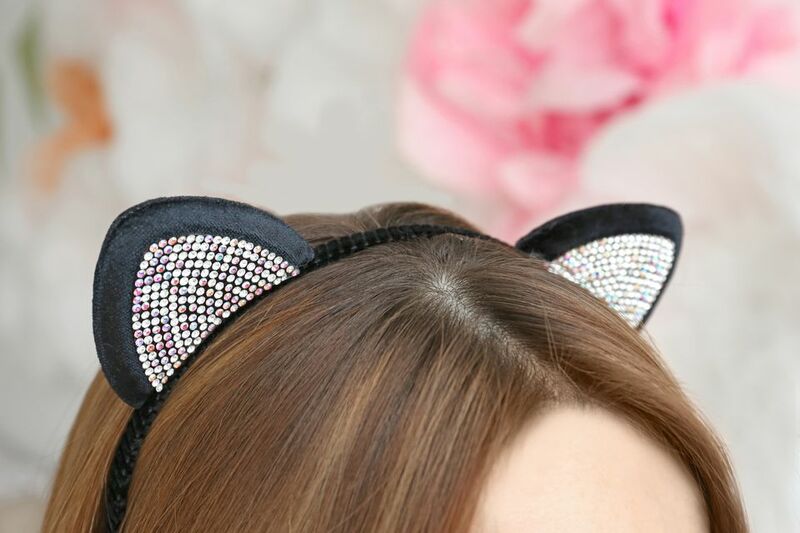 This cat ears headband can be dressed up or down—wear it with a simple black shirt to dress up for your workday or pair it with a slinky black dress for going out on the town. 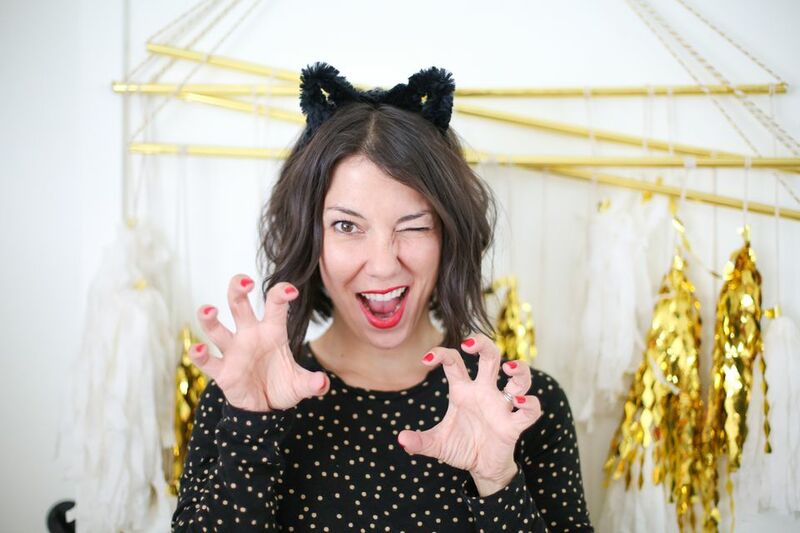 You can also make a mini version for the kiddos in your life and go as ​a whole cat family! You can make these in about 10 minutes, and they're so simple, they're just about foolproof. We used some oversized chenille pipe cleaners because we wanted nice, fluffy ears. You can also use standard, smaller pipe cleaners if you want something smaller or if you're making these for a child. Either way, choose your favorite materials and get all of the items ready. Start by cutting a length of pipe cleaner that's about 12 inches long. This should leave you plenty of space to mold your ears, no matter what size you want them. Pull any loose chenille off of the ends of the pipe cleaner by the cuts you made. Fold the pipe cleaner into two even halves. This will help you judge where to place the ears once you start bending and molding them. Just slightly to one side of the halfway fold mark, start shaping one cat ear. For a grownup headband, we recommend ears that are about one and a half or two inches tall. Shape one ear by folding the wire of the pipe cleaner upwards into a point and then back down. It helps to define the ear shape if you really pinch the wire between your fingers as you are shaping the ears. Repeat this process on the other side of the pipe cleaner and create your second ear. Finally, smooth out any fold that remains from the center fold you initially made in the pipe cleaner. Place a line of glue on the underside of the headband, at the center top. Glue the center of the pipe cleaner to the underside of your headband, so that the ears still stick up above the headband. Place a line of glue about halfway down the inside of one side of the headband. Glue the tail of the pipe cleaner (the additional section beyond the ear) to the inside of the headband, in the same way that you glued the top center. Repeat on the other side of the headband with the other end of the pipe cleaner. Use your scissors to trim and taper any excess "fur" toward the ends of the pipe cleaner to give the headband a clean look. You can also give your ears a little haircut if you like. Place the headband on your head, using your hair to hide the portion that fits behind your ears. Add a black shirt (or a full cat costume if you're daring) and celebrate!